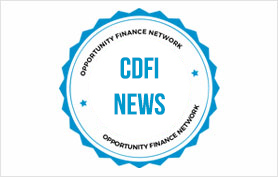 CoVantage Credit Union was recently awarded a $750,000 grant from the U.S. Treasury’s Community Development Financial Institution (CDFI) Fund. CDFI grants help mission-driven financial institutions like CoVantage support economically disadvantaged communities. The purpose of the CDFI grant awarded to CoVantage is to allow the credit union to finance commercial real estate loans focused on the rehabilitation of blighted and/or vacant properties. The goal is to both strengthen individual businesses and improve deteriorating conditions of local downtown areas. With this grant, CoVantage will create a Commercial Rehabilitation loan program. The credit union will also contribute an additional $5 million in loan funding to supplement the program. It will be combined with property owners’ investments, municipal loan funds, and potential Small Business Administration (SBA) mortgages once the revitalization project has been completed.